Beyerdynamic has a big reputation when it comes to audio. Being one of the leading headphones and headset manufacturers worldwide, Beyerdynamic takes audio listening to a whole new level with the Beyerdynamic Custom One Pro headphones. Beyerdynamic has decided to integrate user choice, especially with how you want your headphones to look like. Not only that, it gives you features on how you control what your headphones do, and how you want to hear the music. With all these talk, is it worth the money? Let’s find out. The word custom on the Beyerdynamic’s name for this pair of headphones is no joke. These are a pair of headphones that lets you customize just about everything about them with the quality material from Beyerdynamic themselves. From slide panels to the leather pads, you’re in charge on how they’ll look like. They also come with fairly large ear pads which make it comfortable when worn. The Beyerdynamic Custom One Pro has two very specific features that make it stand out from its competitors. First is the removable headphone cable which makes it easy to store and replace when the cable wears out. It also includes a removable microphone attachment, letting you attach an in-line microphone when you use it for recording, gaming, or calls. Another awesome feature that separates it from the rest is the bass ports. These make the Beyerdynamic headphones worth the money. 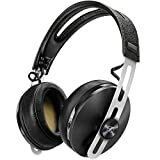 The Beyerdynamic bass ports are sliders that adjust how the headphones respond to bass and low frequency sounds. The more open the port, the more bass you have with your music. That’s serious versatility with just a flick of a switch. When it comes to sound quality, the Beyerdynamic has not left that out. With soundstage made into a priority, audio files sound clearer, more detailed and crisp when listening to them with these babies. Initially, the playback of sound may seem new, but give it a few days and you’ll start appreciating the wonders of soundstage. 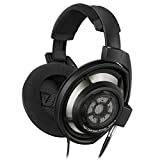 In summary, the Beyerdynamic Custom One Pro headphones are a really good pair of headphones, especially when it comes to style and soundstage. It needs time to get used to, especially when bringing them out since it’s pretty bulky. It compensates that with the quality of sound it produces, and the bass adjustment is no gimmick. In the end, it’s still up to you whether the Beyerdynamic Custom One Pro is the perfect pair for you.